… there was a butterfly. She used fly from flower to flower and see the world but she wasn't happy. She was sad because she knew that her life was going to be short. One day, the butterfly decided to rest for a while on a stone. In that moment she made a wish in her heart. She asked God to become a stone. A stone lives for thousands and thousands years and stones never worry about predators. In the maen time, the stone saw this beatiful butterfly and wished to be like her. He asked God to be coloured, light and free to go anywhere. The stone wanted to become a butterfly and the butterfly wished to become a stone. The Lord heard their prayers and granted them their requests. Thus the Lord created the opal. 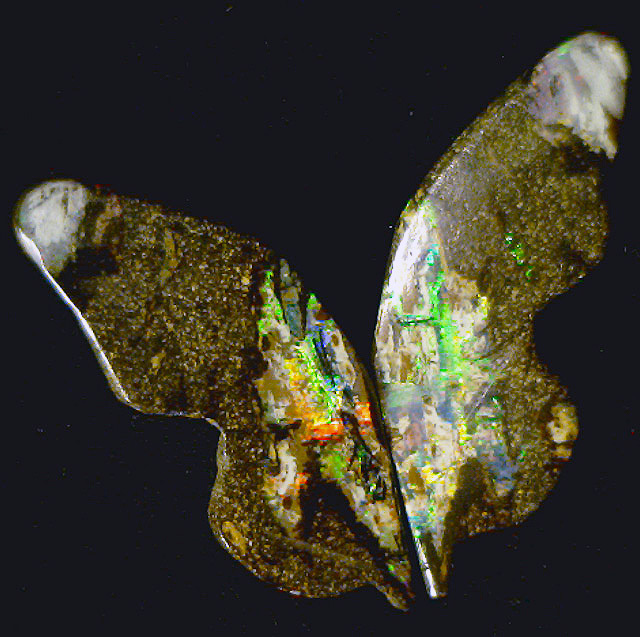 The opal will never know whether it is a butterfly turned into a stone or a stone turned into a butterfly.